I have really been sweating this summer, more so at work. Still, I did manage to attend NTP on the last weekend of March. Three weeks later, made a trip to a village near Hassan for a wedding. Wedding trip turned out to be a great one, for birding and visiting historical monuments. Anyone driving to Nelamangala from Bangalore would know the pain to drive on the under construction, rather under expansion road. It took about one and half hours get going past Nelamangala. A deviation on the Hassan – Sakaleshpur highway got us into the village roads. As we drove down a pond near to the village, i sighted a couple of Pied Kingfishers, and a Paradise Flycatcher. Told myself to come back to the place later some time. Spend about half an hour the next day biding on an alley, along one side of which is a lake and a arecanut plantation on the other side. I was pleasantly surprised by the number of birds i could readily see around that place. There were plenty of Purple Moorhens, and Common Coots. Pied Kingfishers flew from one end of the lake to another as they saw us walking. The day was cloudy, and the birds were at a distance. Couldn’t manage to get a decent shot of any bird. Lakshmi temple at Dodda Gaddavalli is not a very well known one, but i learned that it is the first Hoysala temple. Having visited Belur and Somnathpur earlier, i wanted to have a look at this Hoysala temple too. 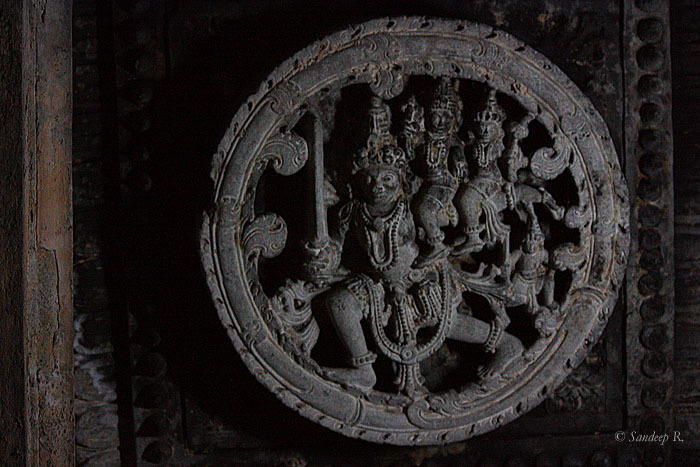 Hoysala temples are known for their intricate stone carvings. 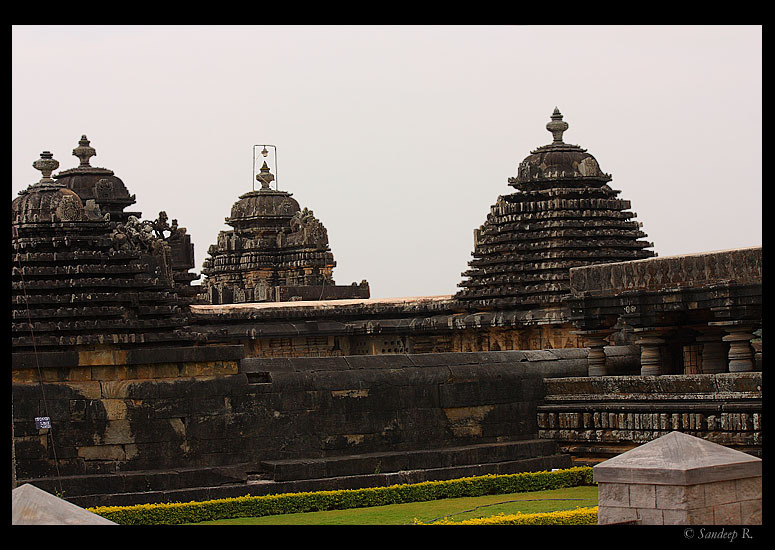 Hoysala craftsmen made this temple as a practice prior to the ones constructed at Belur and Halebidu. The temple is also the only Bethala temple in the world. Bethala is a deamon, guarding the MahaKali, a Hindu goddess, who shares the temple with Lakshmi. The ceiling of the temple has carvings of 8 Hindu deities, one each in 8 directions of North, South, East, West, North East, South East, South West and North West. 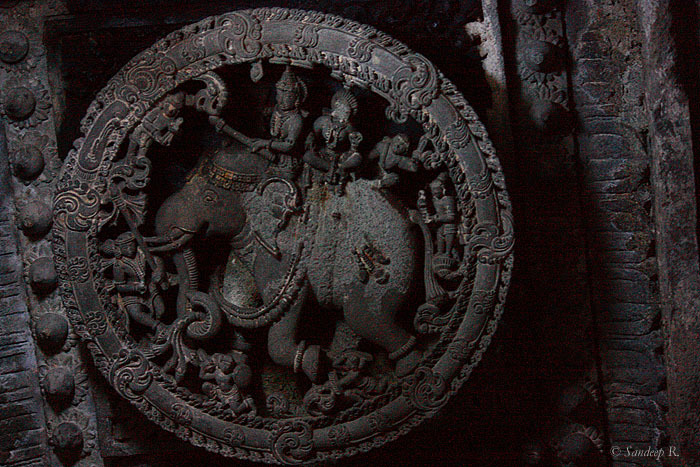 The image on left shows Indra, in one of the directions, on his vahana (vehicle), a white Elephant, along with his wife Suchidevi. The image on the right shows Vastu purusha, the god of Vaastu Shastra. Vastu Purusha does not have a vahana. 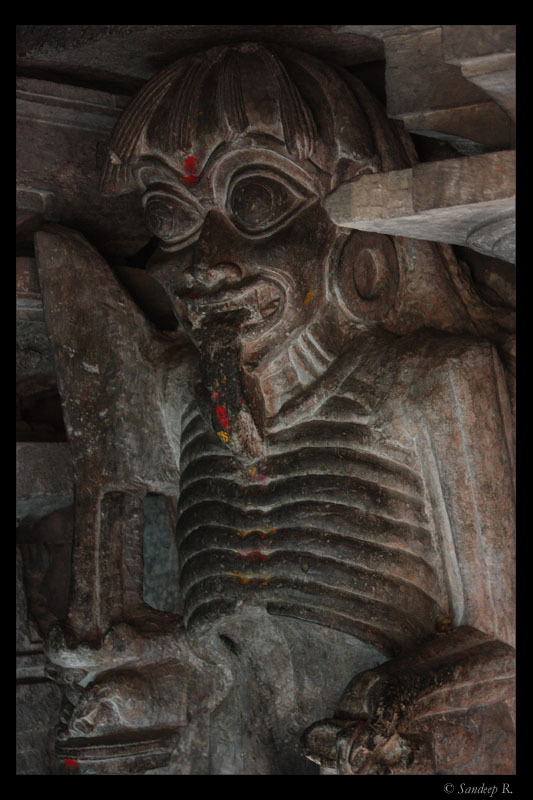 He uses his own body, which is very evident from the beautifully carved structure. 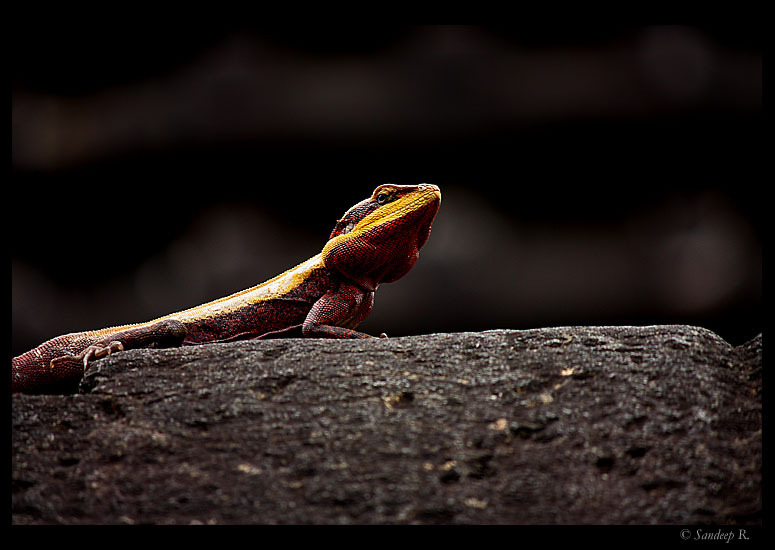 The rocky temple proved to be an excellent habitat for Rock Agamas. I could readily see brightly colored males, basking in the sun. I managed to get close to one of them for a good shot. Click on the image for a larger and sharper view. 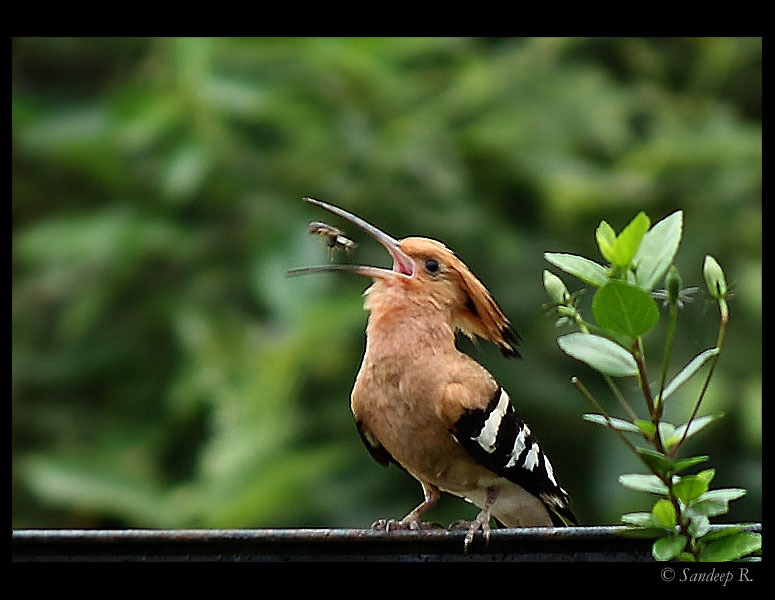 I saw a Common Hoopoe on the fence of the temple. I had missed it a couple of times, and was waiting patiently for it to come back. It came back with a meal! The thought of starting a photoblog was lingering in my mind since i bought my DSLR, but adhering to a particular theme was not easy as i clicked everything. Since majority of my shots are of wildlife, i thought of starting a photoblog to showcase wildlife and share whatever limited knowledge i have. 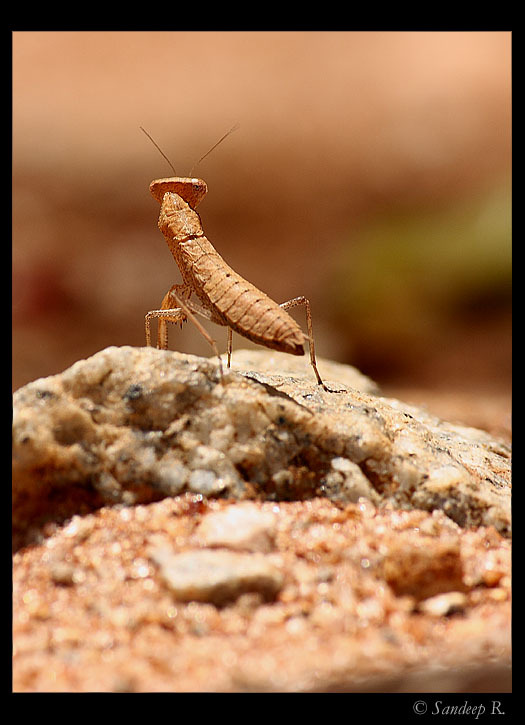 Wild Chronicles would mostly consist of images that illustrate behaviour, and/or habitat of a species, with few lines of text. Some images might be on this blog (HowYouDoin) as well as Wild Chronicles. I remember a colleague asking ‘Who’s a Naturalist?’ when one other colleague told us that he was invited by a popular wildlife photographer to work as a naturalist (the authenticity of which is not worth exploring). Answer to this question was what first answered in the Naturalist Training Program, which i attended from March 27-29, conducted by S. Karthikeyan, Chief Naturalist of Jungle Lodges and Resorts. A person who studies natural history is know as a naturalist. Someone who looks at the nature in totality, someone who does not study nature with respect to one particular species is a naturalist. 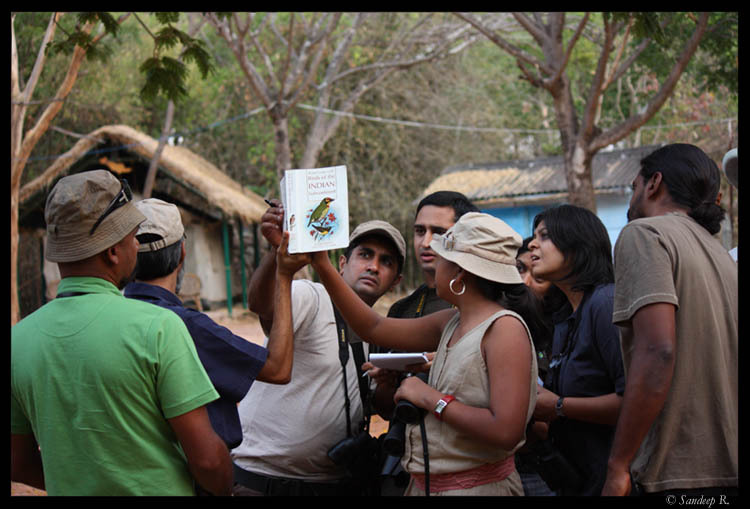 The three day training program consisted of sessions on topics like biodiversity in India, introduction to bird watching, bird behaviour, urban wildlife and the most exciting of all, plant-animal interaction. 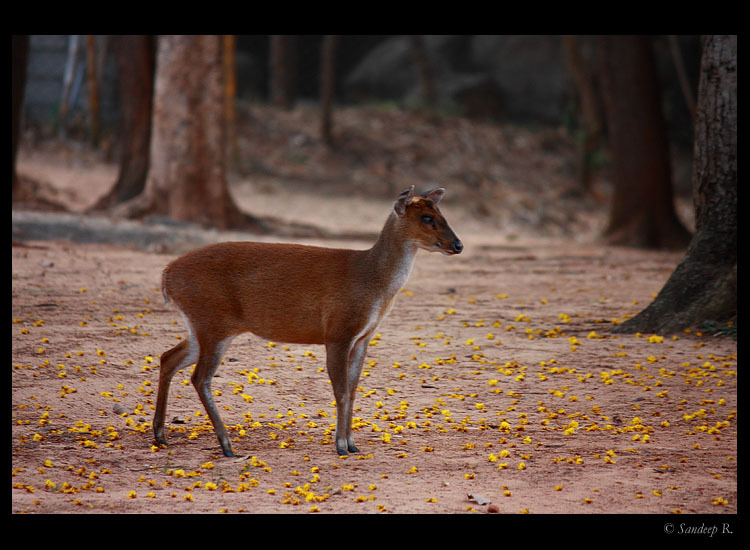 The sessions were interspersed with Nature trails in the morning and evening inside the herbivorous enclosure of Bannerghatta National park. After the nature trails in the evening, David Attenborough‘s The Life of Bird series was played. 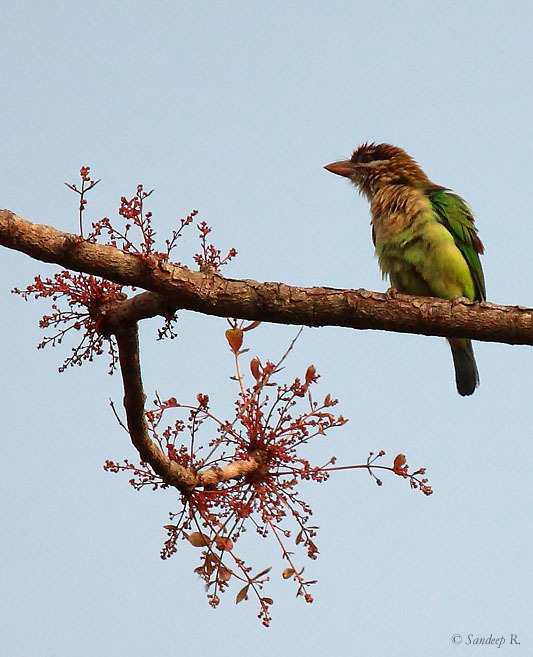 The mesmerizing life of birds would inspire a novice to an avid bird watcher. 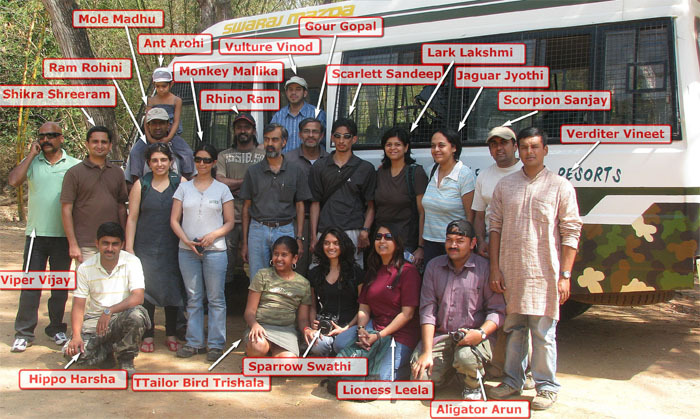 In the group of 17 odd people, probably 4-5 were into bird watching prior to the program, but most others weren’t. But the zeal of everyone was truely inspiring. 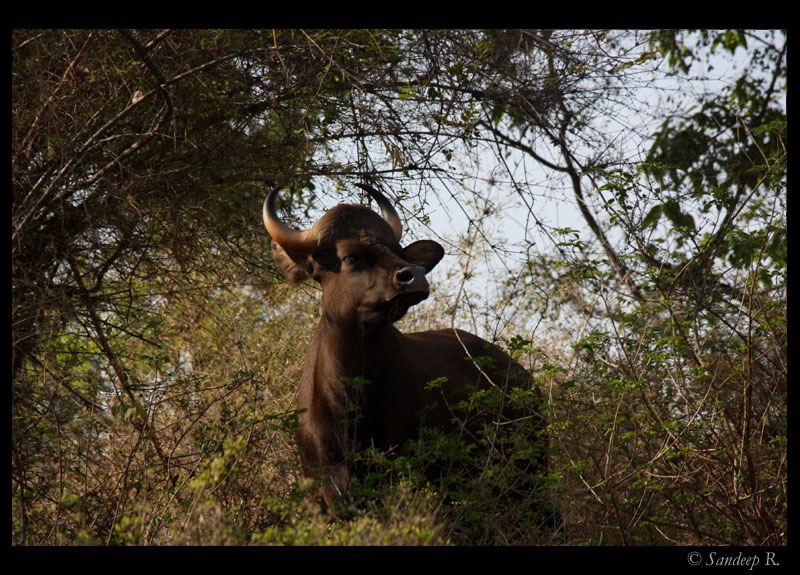 The immense knowledge of Karthik got us to appreciate every little thing we saw in the nature trail. The sap sucked by the miniscule scaley insect on a leaf, and two ants close by to quench their thirst by the sap still remains vividly in my mind. The intricate interdependence of various forms of life, where loss of even one species could result in death of about 30 other species was put into perspective. 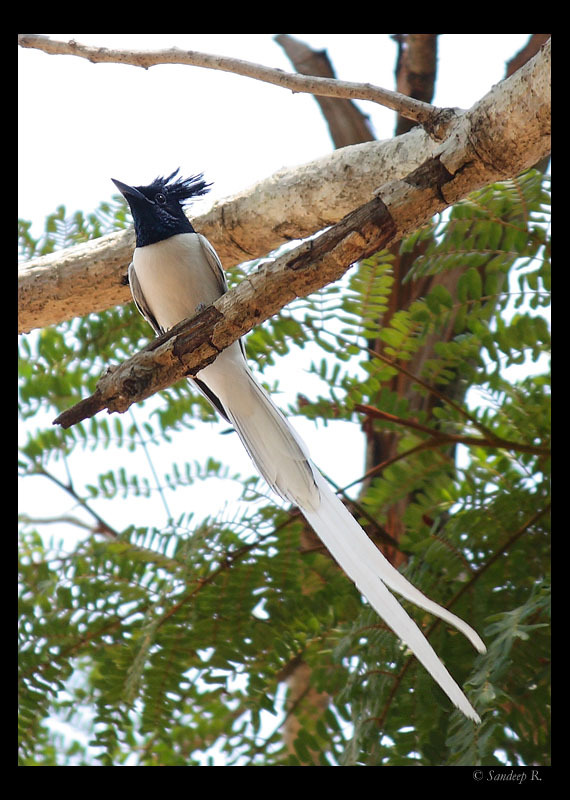 How often would we get to see the beautiful male Paradise Flycatcher from the dining table? This bird was around the camp for quite some time. So were many Sun birds, feeding on nectar from the flowers on jacaranda tree. The only big carnivorous in the enclosure are the Mugger Crocodiles, which were sighted in the late evenings on the banks of the lake. 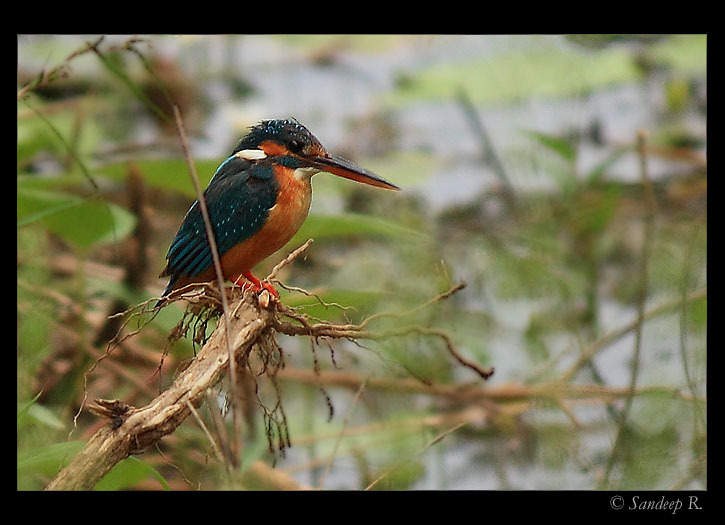 Three days, i was totally cut off from the bustling city and enjoyed 4 back-to-back bird watching sessions in 3 days. P.S. : I was more into learning and less to photography, so please excuse me for these images. Since this trip, AF on my 450D + 55-250mm IS lens seems to be little cranky. I am not able to get images as sharp as i got earlier with the same. May be i need to give the camera for service and get the lens calibrated. Anyone has any tips regarding this?